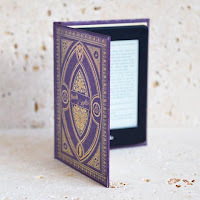 As soon as I saw there was a new book out by Katie Marsh, I just knew I had to have it so I snapped one up from Amazon for my kindle. I read and absolutely adored Katie's first book, My Everything, and didn't think it could be bettered - but I was wrong! 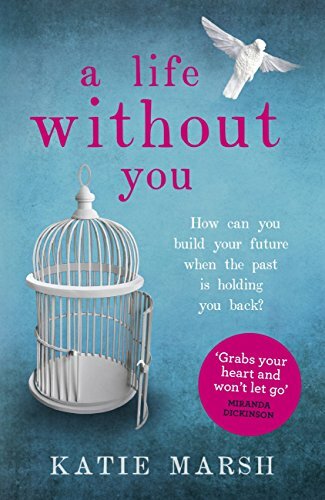 A Life Without You is impeccably written, it is completely flawless and I am sure it will be listed in many readers' top books of 2016 - it's definitely in mine! Katie Marsh really knows how people tick and understands the complexity of the heart which make her novels stand head and shoulders above the rest. What an unusual start to a book - it certainly grabbed my attention. Zoe is embarking on the happiest day of her life as she prepares to marry Jamie. Then she gets a phone call from her mum's friend asking her to come and help as her mum is in trouble with the police. Wearing her wedding dress, Zoe takes a trip to the police station instead of down the aisle. Hold on a second you say, why wasn't her mum sitting in the church with the other members of Zoe's family? Zoe hasn't spoken to her mum in years - what could have happened that was so bad for a mother to not even be invited to her daughter's wedding? So begins the story of Gina and her daughter, golden girl Zoe, told through heartbreaking letters that Gina has written to Zoe on each birthday. These emotional and candid letters are placed at the end of each present day chapter, chapters filled to the brim with emotion as we see the effects of Gina's memory loss on herself and her family. At a time when Gina really needs the support of her family, Zoe steps up to the mark by burying old grudges and sweeping aside feelings about her abandoned wedding to concentrate on looking after her mum. With so much on her mind, it naturally starts to affect her work and she realises that she can't do it all on her own. Time for hurt and resentment to be brushed aside and for people to show that they really care about Zoe. Losing your memory must be such a devastating event and so difficult for friends and family to deal with. It really hit home for me, as a book lover, when it was mentioned that Gina had a pile of books by her bed, but there was no point reading them as she would forget what she had read when she put the book down each night. It must be so difficult to actually admit that you can no longer look after your loved one and have to look at other options available. As Zoe struggled with feelings of betrayal and guilt, it was completely understandable and virtually palpable, but clear that she had to put those feelings to one side and do what was best for Gina. A Life Without You is a stunning and compassionate story of family, forgiveness and unconditional love. It is a stark reminder that we shouldn't dwell on negative events in the past but concentrate on what is left of the future. 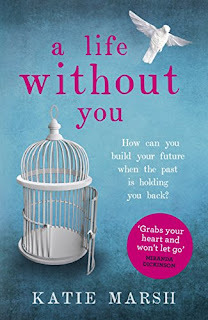 Katie Marsh has such emotive writing, evoking both laughter and tears, ensuring that A Life Without You is a book that will remain forever in my heart. No words will ever do this book justice - you simply must read it for yourself.